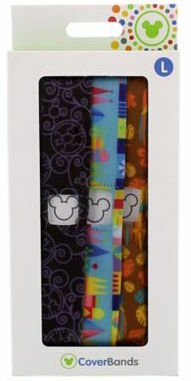 CoverBands were sleeves that go over MagicBands to give them styles. 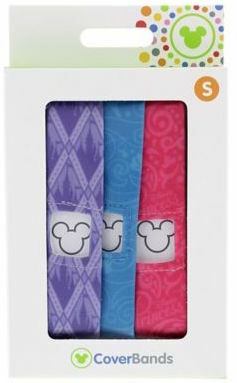 The first released packs of bands did not use the term “CoverBands” and came in a single size. 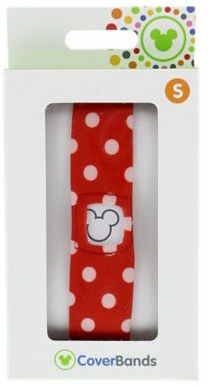 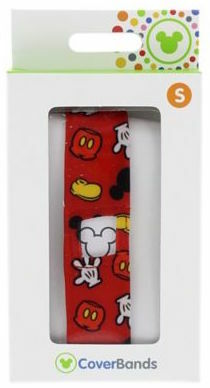 The second generation of CoverBands included a cutout hole over the tappable portion of the band (the Mickey symbol) and cover in sizes small (S) and large (L). 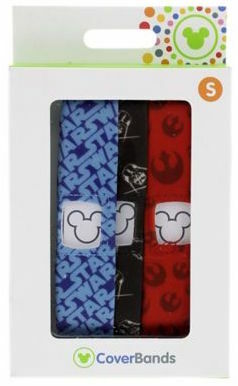 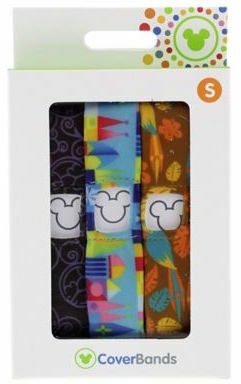 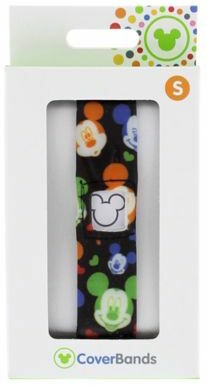 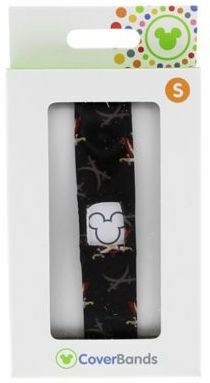 Since graphic MagicBands have become very popular since 2015, it’s likely these will be the only designs ever produced and sold. 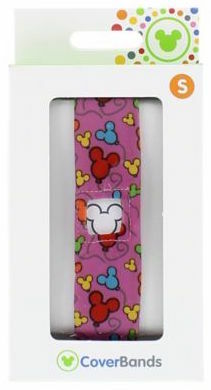 CoverBands have not been made for MagicBand 2, and most likely these have been discontinued.